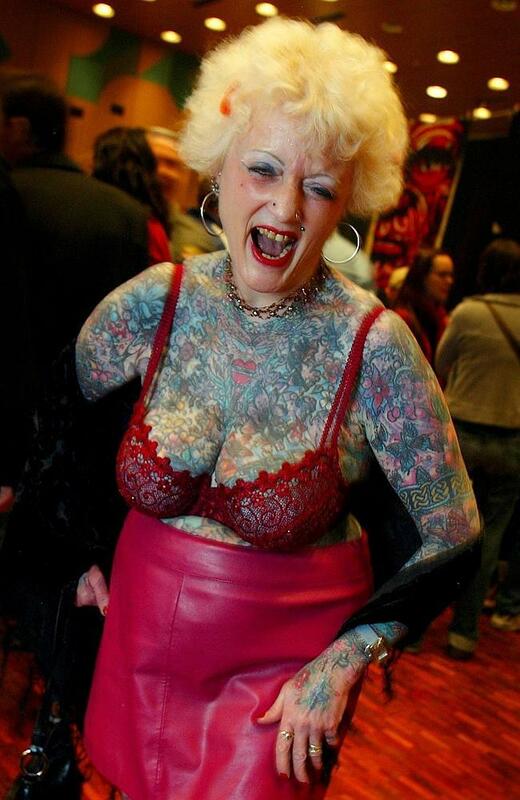 Just a few decades ago, tattoos were the trademarks of the fearless. Bikers, punks and other misfits wore their tattoos in proud defiance of the ‘normals’ who stigmatized them. Since the popularization of tattoos in the 1990s, we've entered a new, even stranger era of ink: one in which everything that made tattoos cool is now overdone, tasteless and overexposed. Somewhere around the time tattoo parlors became fixations in malls nationwide, tattooing lost its affiliation with self-styled outcasts. Today, 16% of men and 15% of women in America have tattoos. Neologisms like “tramp stamp” and “tribal tattoo” indicate just how blase tattooing has become. The problem isn't just that everybody has tattoos; the problem is that tattoos have lost their definitive aspect: edginess. 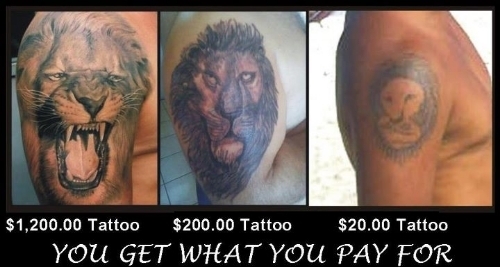 Now that middle-aged professionals, stay-at-home dads and the occasional grandma or grandpa are lining up for a quick tat, that tribal tattoo you're thinking of commissioning just won't get the reaction you'd like. Tattoos have probably become more acceptable in workplaces generally, but there are major employers with harsh policies against them. The United States Army, for example, just tightened its restrictions on tattoos, police departments forbid them, and Disney doesn't accept visible tattoos or piercings. Tattoo art has become schizophrenic in recent years; you can now choose decisively between a low-quality, cheap tattoo or a gorgeous three-dimensional full sleeve or back tattoo at $1,000 or more. In other words, you have (potentially lifelong) dissatisfaction on one hand and a major money sink on the other. Springing for a high-quality piece of art would be a reasonable thing to do, if you’re sure you won’t regret it. This isn't just something your parents tell you about tattoos: it's a money-backed fact. In the past 10 years, profits from the tattoo removal business have soared 440 percent, up to over $1 billion a year in the US alone. If you have any reservations at all about the content of the tattoo you want, stick to temporary ink instead; it's about 25 cents a pop. You've probably heard about Johnny Depp's tattoos, Angelina Jolie's, Megan Fox's, Rihanna's and Miley Cyrus'. You've probably heard about celebrity tattoo removals post-breakups, and tattoos crazy fans get to commemorate their idols. But wait, that's not all. We now have the semi-celebrity, reality TV tattooing world, from Best Ink to Ink Master to America's Worst Tattoos, plus Inked, Miami Ink, New York Ink, L.A. 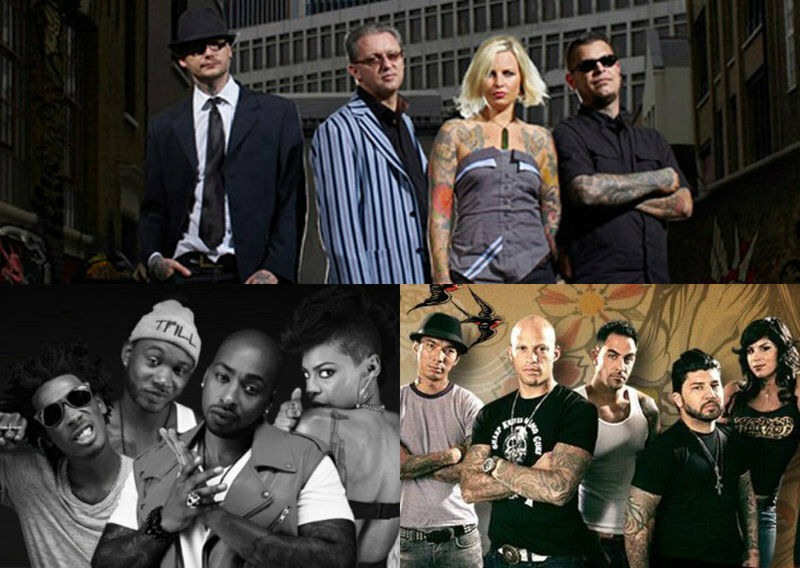 Ink, London Ink, Tattoo Highway, Tattoos After Dark, The Black Ink Crew...we'll stop before you need a bucket. Finally, there's the head-scratching phenomenon of tattoo glamor modeling. If you're itching to browse women with a sleeve tattoo and a pair of plasticized breasts in a bikini, you're in luck: there are thousands infesting Facebook, Tumblr, Pinterest and everywhere else. Whatever shred of respect the word tattoo had remaining has been lost in the commercialization of tattoos and the people wearing them. In the United States, a recent study showed that 59 percent of people think the word “ink” is trendier than “tattoo.” However awkward the word might be (“I'm thinking of getting an ink on my shoulder”), it's just another step in the trend of democratizing and demystifying tattoos. Tattoos are so commonplace; its language is evolving, just as language evolves for emotions and technology. The takeaway? Don't go against the flow; make sure to fit in with the crowd when talking about and getting tattoos – I mean ink. 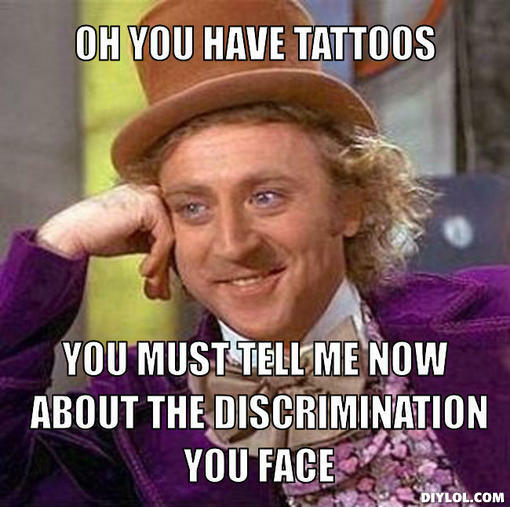 After all, having a tattoo is now essentially a declaration of being mainstream. 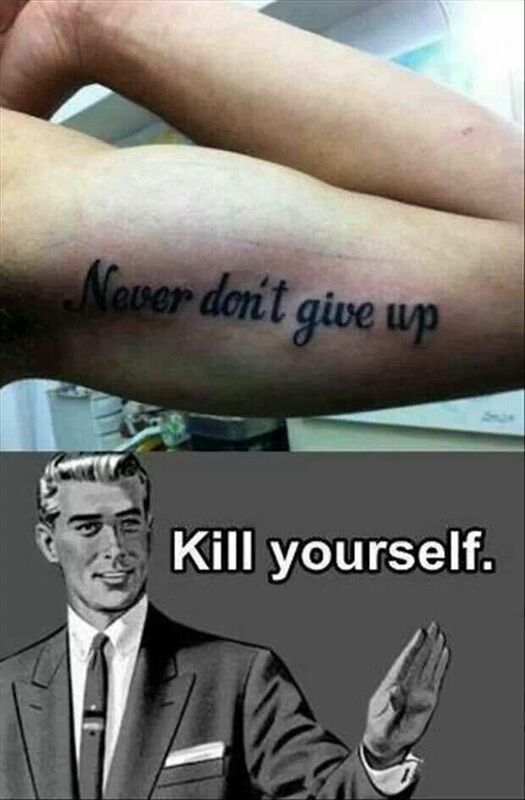 But seriously, if you're going to get a tattoo, avoid the traps on this list. Find a topic that's both meaningful to you and timeless, not your current girlfriend/boyfriend's name. Save and spring for a high-quality piece by a reputable artist, and get your ink somewhere on your body that won't cost you a job. You can even get some awesome tattoo sleeves like these from Ink Health are a great alternative. Wearing Tattoo clothing is also a great way you can embody the tattoo lifestyle without going through the mind-numbing pain of a tattoo. Finally, don't look to a tattoo to make you hotter, or cooler, or hip – do it because you love body art. That's the only sane reason to semi-permanently decorate your own skin. Do you agree with my reasons not to get a tattoo? Comment below. Courtesy of 2013tattoo.allalla.com, teamjimmyjoe.com, news.com.au, keltiecolleen.buzznet.com, thatsenuff.com, csphotolounge.com, tattoohow.com, pinterest.com, flickr.com, eonline.com.